'at the direction of ... the candidate'. ​the long slow walk to the gallows for the Trump presidency. and the tragedy that was the fall of Richard M Nixon are ripe, currently. And, the concentration has been centered largely upon the legal aspects. But the removal of a president is both legal and political. Spiro Agnew from office. And, there was an acceptable Speaker of the House, Gerald Ford. Neither Pence, the latter-day Agnew, nor Ryan, who is no Gerald Ford, will suffice. the public will come to understand why, in due course. clearly evident in his recent comments about the citizens of New York. ​be prosecuted for crimes of his own making. These are indeed perilous times. when he said he did not meddle in the 2016 presidential election." of the journalist Jamal Khashoggi in the Saudi Consulate in Istanbul." To introduce any meaningful discussion of national security, it is absolutely necessary, to first define, the term security (or defense). Defense (or security), describes a condition, that is a result of the knowledgeable and purposeful establishment and maintenance, of protective measures, that ensure a state of inviolability, from hostile acts or influences of any nature, emanating from a domestic or foreign source. By this definition, the Russian meddling in the US presidential election cycle of 2016 was (is) a failure of US national security, a failure of our defense apparatus. The term that identifies the means, the methods and the tools that are employed to defeat the establishment and maintenance of a nation's protective measures, short of a full-frontal assault, is espionage. The failure of the US security apparatus to counter ongoing attempts by the Russians to steer the Trump administration into more favorable relations with Russia, stems in part, from the reality that Trump has surrounded himself with high-ranking officials that were part of the informal 'never again' group within the US military and security establishment. (The author makes no apology that those wanting to know more about the 'never again' group within the upper chambers of the US military are free to do so on their own volition.) And, that said, a return to the theme of this posting. Espionage is not a static affair, but a dynamic one. 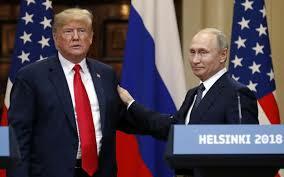 For example, the recent disclosure by the Washington Post, 23 June 2017, entitled: Putin ordered hacks to aid Trump, damage Clinton, came about because Putin's agents in the US came to know that the communications channels that Putin used when he ordered the hacks had been compromised, and that message had to be conveyed back to the Kremlin. Getting that message back to the Kremlin, without exposing other Russian surveillance capabilities within the FBI/DIA/CIA presented a number of rather substantial difficulties. It was a case of the lesser of two evils. 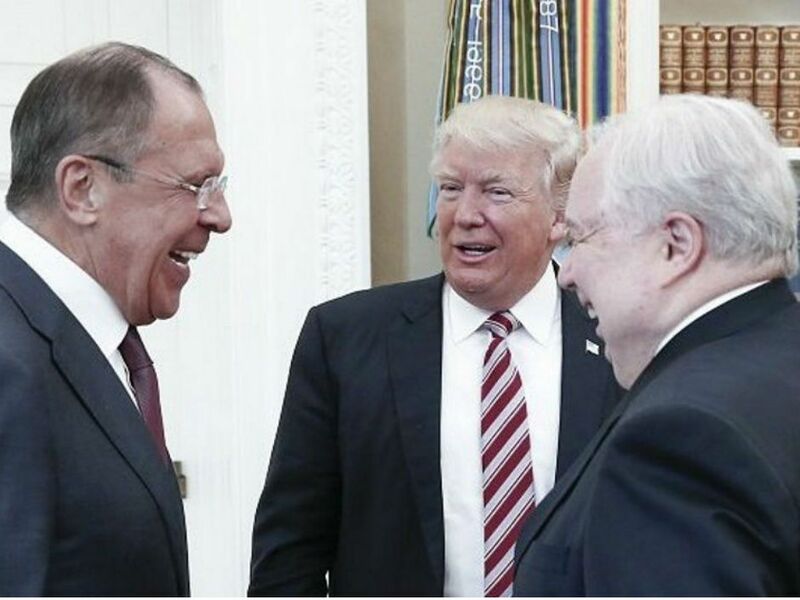 Publicly communicating to Putin that the communications channels had been compromised, was clearly less threatening to the Russian espionage network in the US than allowing the Americans to continue to ease-drop on Putin's communications, which Putin assumed were safe. Therefore, the Washington Post became the conduit of the information back to Russia that let Putin and the Kremlin know that their communications channels had been compromised by the Americans. Espionage is dynamic, not static. ​It is high time that we stopped mollycoddling Donald Trump. And just tell the American people, what was done and who did what. ​In a nutshell, Donald Trump believed that even after winning the Republican nomination he could not win the presidential election, but he wanted to hurt Hillary Clinton, especially for so scornfully and dismissively casting doubt on the notion that Trump was a billionaire, one who has one-thousand million dollars, not Italian Lira or Rubles. And, other highly public insults delivered at a memorable dinner by an associate. A previous deal with the banks that Trump owed a king's ransom, had left him with 450,000 dollars a month to live on. To supplement that dowry Trump engaged in money laundering for a rather exclusive list of clients. One must remember that during this time, the FBI had a stock market swindler gangster informant strategically placed in the Trump organization. Trump wanted to hurt Hillary, he also needed massive amounts of money and to accomplish both of these objetives, he made a deal with the devil. Money began to flow into every aspect of his businesses and Hillary's problems were made the stock and trade of the Trump campaign for the presidency. But as Trump has come to realize, the Russians are much bigger than he is. And, the deal with the devil, and the smiling faces and the big laugh in the White House, the 'we did it' moment, will come to haunt Trump and all those who foolishly sought power by joining his doomed bandwagon, inevitably. In the future, we will speak of the name Trump as Mudd.